Sit down with Canadian artist Kent Monkman for a discussion of Indigenous and Canadian perspectives in our modern society. Monkman will also explore how his own experiences have shaped his practice in visual and performance art. Design Mexico brings together the work of 7 of Mexico’s best graphic designers, illustrators and typographers. Sebastian Padilla, co-founder of international branding, architecture and software development firm Anagrama, will also be on hand to speak at the event. Learn from industry experts and creatives over pizza and beer in the Meet Your Maker series hosted by the Association of Chartered Industrial Designers of Ontario and the Society for Experiential Graphic Design. This session features Gareth Brennan, President & Founder of Eventscape, Cam Wykes, President of Jacknife and Paddy Harrington, Founder of Frontier. This weekend the Metro Toronto Convention Center will be transformed into a hotspot for international contemporary and modern art. 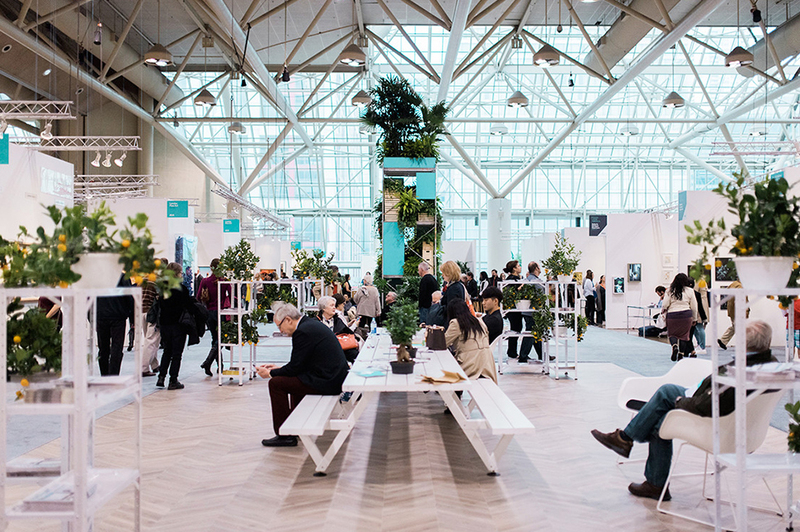 This year Art Toronto will also be home to the Toronto International Art Book Fair. TEDxToronto is sure to be full of inspiring and thought-provoking talks. Speakers include, architect Philip Beesley, former Toronto Chief Planner Jennifer Keesmaat, artist Elicser Elliott and more.